The SYSTEM_SERVICE_EXCEPTION in Windows 10 is a Blue Screen of Death (BSOD). Unlike in older versions of Windows, the BSOD now has useful information for fixing your computer. In this article, we’ll examine the SYSTEM_SERVICE_EXCEPTION error, why it happens, what you can do to fix it, and how to stop it happening again. What Is a System Service Exception Error? A SYSTEM_SERVICE_EXCEPTION error happens for a few reasons: graphic user interface errors, corrupted system files, and issues with outdated or corrupt drivers amongst others. Given that there is such a range of potential SYSTEM_SERVICE_EXCEPTION causes, there are also several methods for fixing the issue. 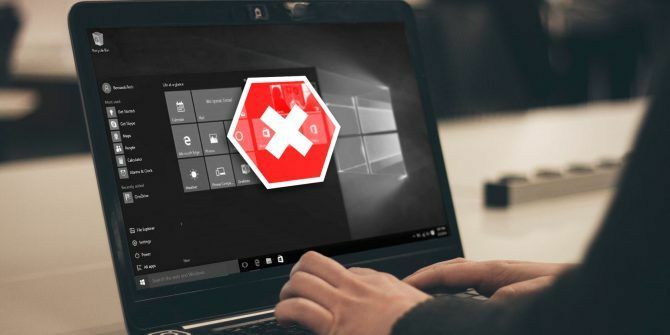 Some might fix your Windows system errors The 5 Most Common Windows Errors and How to Fix Them The 5 Most Common Windows Errors and How to Fix Them Don't let a Blue Screen of Death ruin your Windows experience. We've collected causes and solutions for the most common Windows errors so you can fix them when they pop up. Read More , while others won’t. The main course of action is updating drivers and checking your Windows 10 file system for errors, but you should work through the list below until the SYSTEM_SERVICE_EXCEPTION error disappears for good. The first thing to do is check that Windows 10 is completely up to date How to Manage Windows Update in Windows 10 How to Manage Windows Update in Windows 10 For control freaks, Windows Update is a nightmare. It works in the background, and keeps your system safe and running smoothly. We show you how it works and what you can customize. Read More . Outdated system files can cause unexpected errors. Checking for a pending update is a quick and easy way to figure out if that is what is causing your issue. Hit Windows key + I to open the Settings panel. Now, head to Update & Security, then check under Windows Update for any pending updates. If there is an update, save any important files, then press Restart now. Your system will reboot during the process. Windows Update keeps your system drivers up to date. Automating the process means your system drivers are less likely to fall behind their recommended version—but that doesn’t mean some won’t fall through the gaps. At other times, Windows doesn’t use the correct driver version. To check your latest automatic driver updates, head to Update & Security > Windows Update > View update history. Recent driver updates appear here. Now, type device manager in the Start menu search bar and select the best match. Head down the list and check for an error symbol. If there is nothing, your driver status is likely not the source of the issue. If there is a yellow “alert” symbol, open the section using the dropdown arrow, then right-click the problem-driver and select Update driver. Select Search automatically for updated driver software to let Windows automate the update process for you. Otherwise, you can use a third-party tool to update all your system drivers simultaneously. 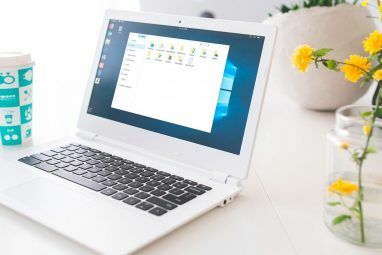 Check out this list of free tools you can use to fix a majority of Windows problems The Best Free Windows 10 Repair Tools to Fix Any Problem The Best Free Windows 10 Repair Tools to Fix Any Problem If you're running into system problems or rogue settings, you should use these free Windows 10 repair tools to fix your PC. Read More . The first two options—IOBit’s Driver Booster and Snappy Driver Installer—do exactly this. Next up, try running Windows Check Disk from the Command Prompt 7 Nifty CHKDSK Features to Use in Windows 10 7 Nifty CHKDSK Features to Use in Windows 10 CHKDSK ("check disk") is a Windows diagnostic tool that scans data drive volumes, verifies their integrity, and fixes errors when necessary. Here we highlight the improved CHKDSK features you can find in Windows 8 and... Read More . CHKDSK is a Windows system tool that verifies the file system and with certain settings, fixes issues as it runs. Next, type chkdsk /r and press Enter. The command will scan your system for errors and fix any issues along the way. 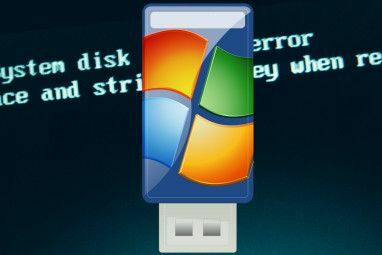 System File Check is another Windows system tool How to Fix Corrupted Windows System Files With One Command How to Fix Corrupted Windows System Files With One Command If you're seeing weird issues in Windows, it could be due to system files becoming corrupted. Here's how to fix them using the System File Checker. Read More that checks for missing and corrupt Windows system files. Sounds like CHKDSK, right? Well, SFC checks for Windows system files specifically, while CHKDSK scans your entire drive for errors. But before running the SFC command, it is best to double-check that it is completely functional. DISM stands for Deployment Image Servicing and Management. DISM is an integrated Windows utility with a vast range of functions. In this case, the DISM Restorehealth command ensures that our next fix will work properly. Work through the following steps. Type Command Prompt (Admin) in the Start menu search bar, then right-click and select Run as administrator to open an elevated Command Prompt. Wait for the command to complete. The process can take up to 20 minutes depending on your system health. The process seems stuck at certain times, but wait for it to complete. When the process completes, type sfc /scannow and press Enter. There is an official Windows hotfix for the SYSTEM_SERVICE_EXCEPTION error. However, the hotfix relates to a stop code that defines a specific SYSTEM_SERVICE_EXCEPTION issue. The stop code is 0x0000003B, and it relates to IEEE 1394 devices; in other words, FireWire and similar branded versions of the interface standard. Head to the Microsoft hotfix page and select the Hotfix Download Available link. Follow the onscreen instructions (requires email details to send the hotfix to you). When the hotfix arrives in your email account (it is instantaneous), use the link at the bottom of the page to download the file. Once downloaded, double-click the file. The auto-extraction file suggests C:/ as the default location. However, I would add “hotfix” to the file path, (e.g., C:/hotfix) to make it easier to find the unpacked file. Next up, navigate to the extracted file, then right-click and select Run as Administrator to complete the process. If nothing else works, you can use Windows 10’s Reset function to refresh your system files 4 Ways to Reset Windows 10 and Reinstall From Scratch 4 Ways to Reset Windows 10 and Reinstall From Scratch Windows 10 is still Windows, meaning it will need a fresh start every once in a while. We show you how you can get a fresh Windows 10 installation with as little effort as possible. Read More . Windows 10 Reset replaces your system files with a completely fresh set of files and theoretically clears lingering issues relating to your SYSTEM_SERVICE_EXCEPTION error while keeping the majority of your important files intact. Head to Settings > Update and Security > Recovery, then under Reset this PC select Get started. Your system restarts as soon as you hit the button, so make sure you to backup any important files beforehand. Your system will restart, then you may select Keep my files or Remove everything. System Service Exception Error: Fixed and Eradicated! One of these fixes or a combination of them will resolve your SYSTEM_SERVICE_EXCEPTION error, leaving your system BSOD free. If not, there is another short solution you can try: Work your way through your recently installed programs, uninstalling each one until the issue resolves. Some programs have an unwelcome habit of causing certain system process to crash. Another handy bluescreen error code tool is Nirsoft’s BlueScreenView. It helps you better understand the error codes so you can isolate issues much faster Make BSODs Easier to Troubleshoot by Enabling This Small Feature in Windows 10 Make BSODs Easier to Troubleshoot by Enabling This Small Feature in Windows 10 Having trouble accessing Windows' blue screen dump files after a crash? Here's a tweak that might make them accessible again. Read More ! Explore more about: Blue Screen of Death, Computer Diagnostics, Computer Maintenance, Troubleshooting, Windows 10. I've been having this BSOD error occur after trying to wake from sleep mode on a new computer I built. I am using the manufacturers driver versions for all the parts I could and let windows update do the rest. All drivers seem to be working fine. The only programs I installed were a few games, some peripheral software and some hardware monitoring tools. Running the chkdsk command said there were no issues also ran the sfc command. After this my computer was unresponsive, wouldn't shut down and User Profile Service faied to login. Only a "hard reset" got me back up. Unfortunately none of this fixed my issue so I'm back to square one. Guess I'll try to remove some of the programs I installed. Do you have any suggestions on where else to look given the info that this only occurs from sleep mode? Thanks for the article and video. My computer won't stay on long enough to get any updates! 5-8 minutes tops. Typical answer to a BSOD, boot to windows and make these changes... Does no one actually understand that a BSOD system is inherently UNBOOTABLE??? And errrr..... how can you do any of these if you're STUCK IN A BLUE SCREEN YOU RETARD? Mr Taylor, please don't call the people that might be able to help you fix your computer a retard. There is another potential fix, but I guess you don't care. I would suggest calling someone that might be able to help you fix your system a nonce a terrible idea. Cheers. Not very useful when you can't get into safe mode or BIOS. Any info on getting into BIOS and can you run CHKDSK from there? Also, if previous comment is right, why did this come up in Google search for Windows 10? Bunk.